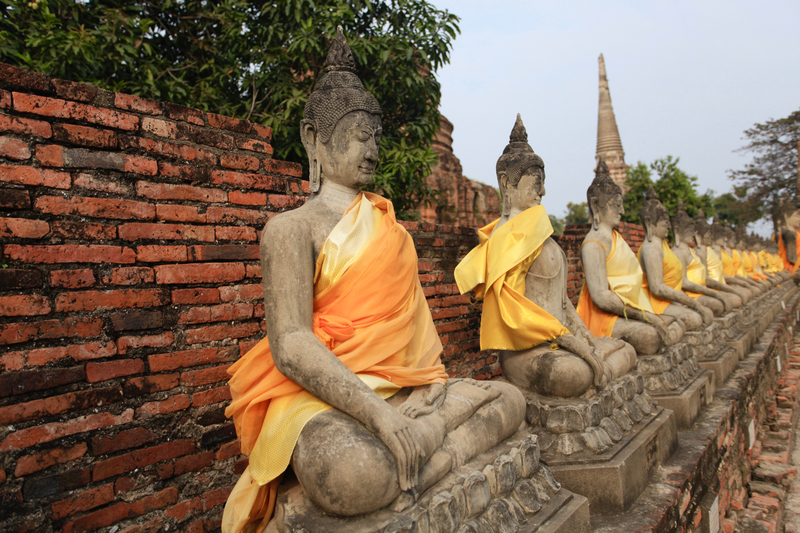 The old Thai capital of Ayutthaya, a UNESCO World Heritage Site, is one of the most impressive ruined cities in Asia, and a must-see for history buffs visiting Thailand. 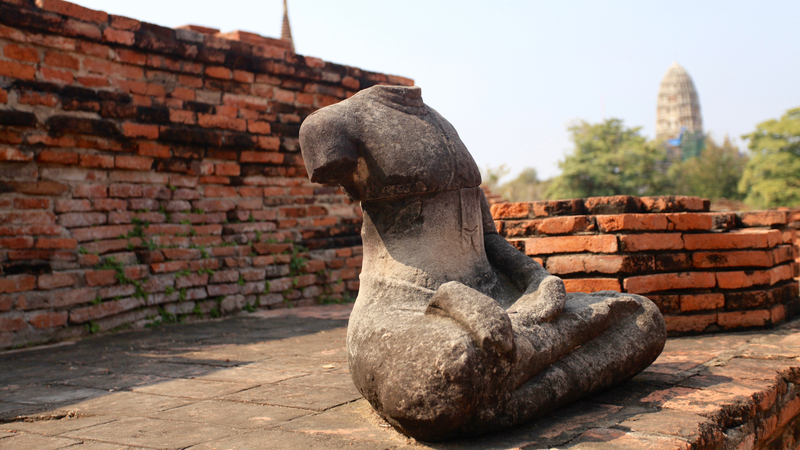 The Menam, Lopburi, and Pasak rivers ring the island of ruins. Wandering through this once-thriving place will make you feel you’ve stepped back through time. 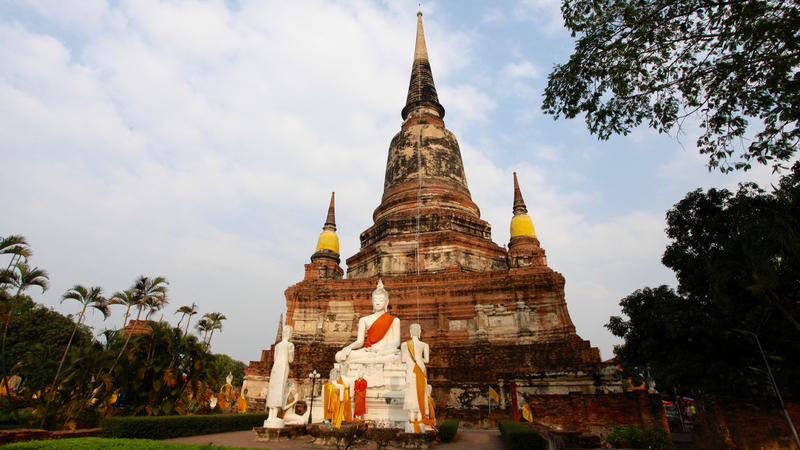 Allow at least two days to see all of Ayutthaya’s attractions, and more if you don’t want to feel rushed. This place is steeped in history and you’ll want to get the full experience while you’re here. 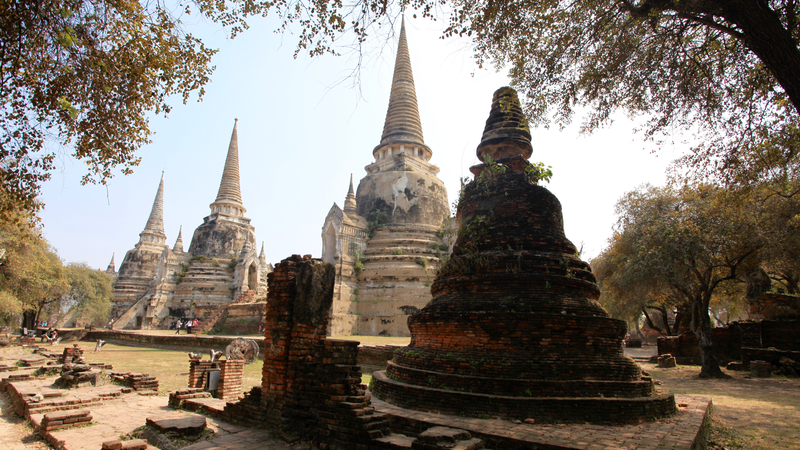 Ayutthaya Historical Park is open 8:30 am-4:30 pm daily. 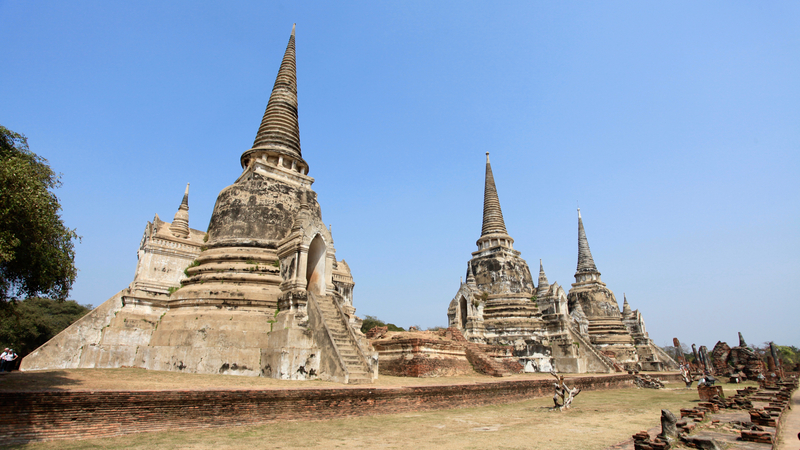 How to spend a day in Ayuthaya? We started around 10am for Ayuthaya from the hotel in Bangkok. The total trip for the day cost us ~2000 Bhat on a taxi. Ayuthaya gets it name from Ayodhya in India which is capital of Rama. All kings of Thailand are named after Rama. So the capital is Thai version of the Ayodhya. The place is actually a inland island surrounded by rivers on all side. We explored the island at leisure. 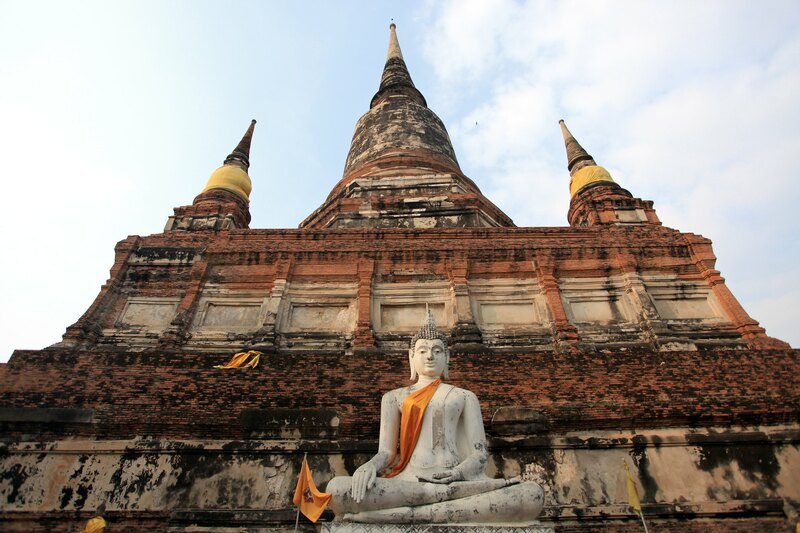 We started with “Wat Phra Si Sanphet” the most iconic structure of the island. 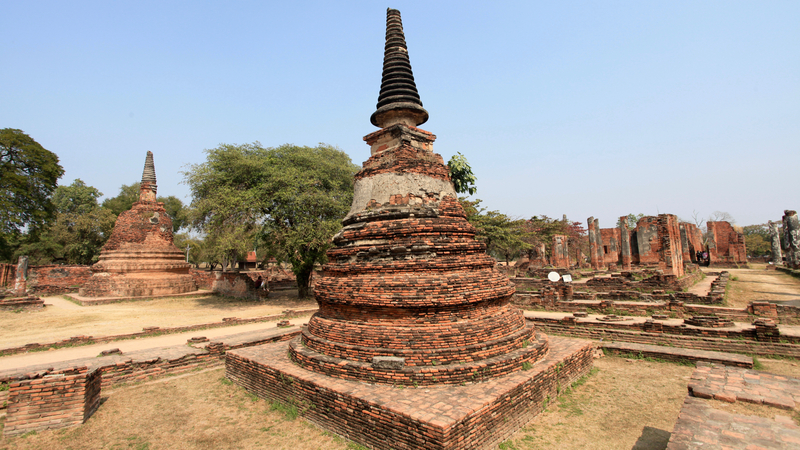 The three bell shaped chedi is a distant reminder of the grandeur of the City. This was the royal palace till 15th century when it got converted to a temple. We climbed the chedi’s and clicked innumerable pictures. 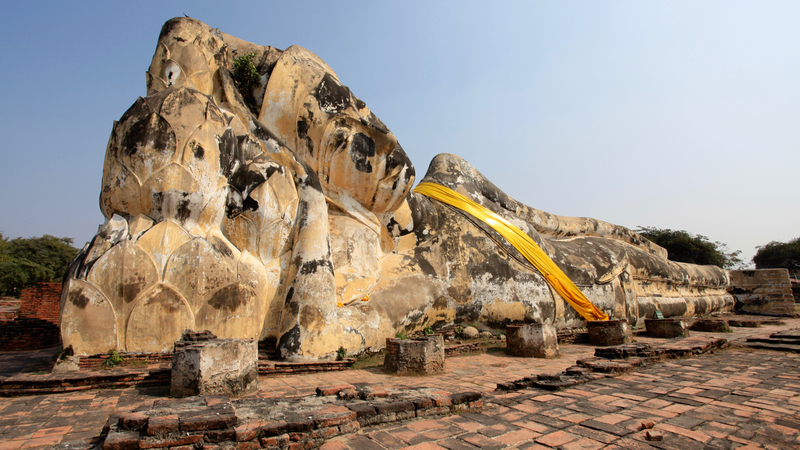 We visited Wat Lokaya Sutha which has a reclining Buddha un the open. 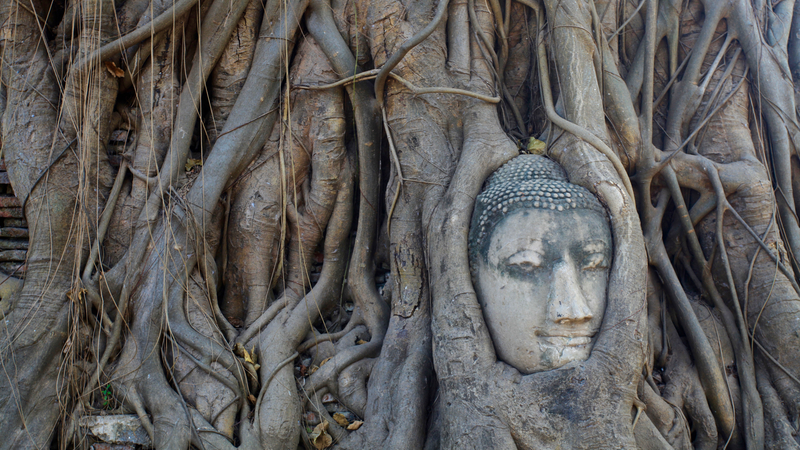 Then we drove to the most famous place of Ayuthaya which is a Head of Buddha in the midst of tentacle like roots of Banyan Tree. We reached Wat Phra Mahatat at around 1 PM. After exploring the place we decided to head for lunch at a nearby restaurant. After lunch we went for the floating market which was a disappointment. It seemed more like a tourist trap rather than a destination. We headed for Wat Yai Chai Mongkhon. 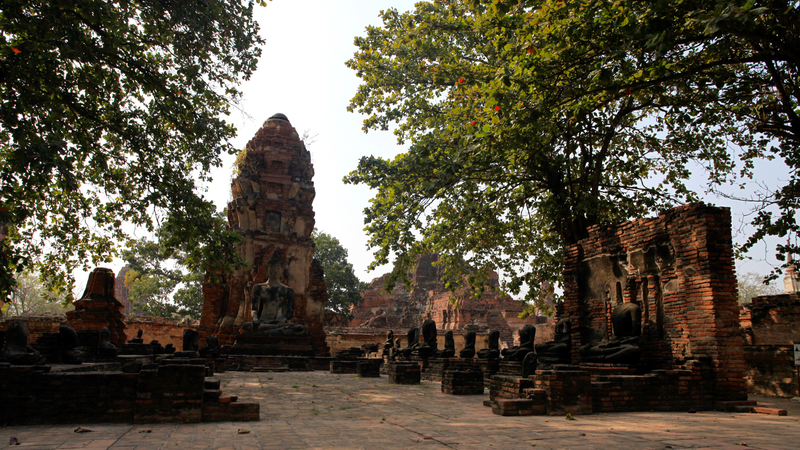 The “Great Monastery of Auspicious Victory” is located off the City Island in the southeastern area at present Tambon Phai Ling. In the past it bears other names as Wat Pa Kaeo, Wat Chao Phraya Thai and Wat Yai Chaya Mongkhon. After this we ended our trip to Ayuthaya and headed back to Bangkok. We returned to Bangkok at 6:30 PM.